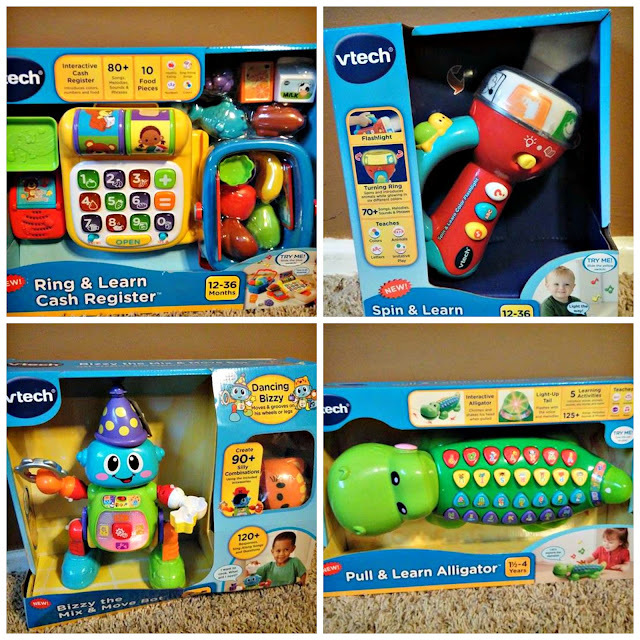 Having 3 little ones who love to play and interact with their toys, I was excited to get to try 4 new VTech toys and let the kids play with them, show me what they do and what they really liked about each of them. 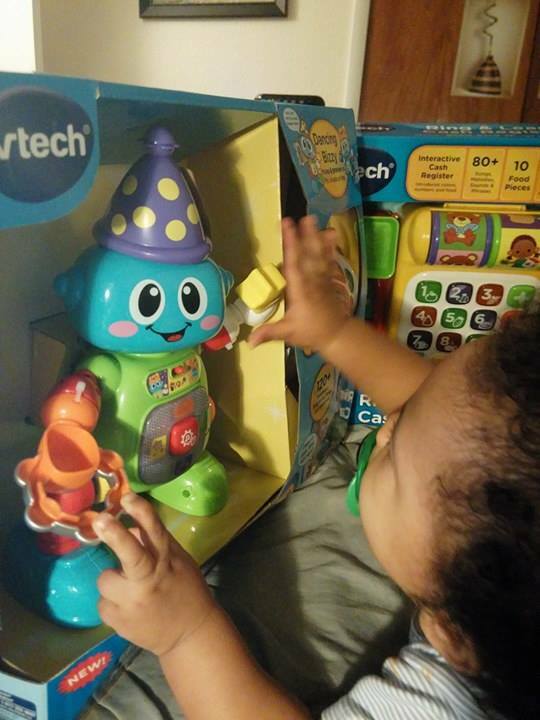 Our 8 month old was fascinated by the Bizzy Robot right away and could not wait for me to take it out of the packaging. 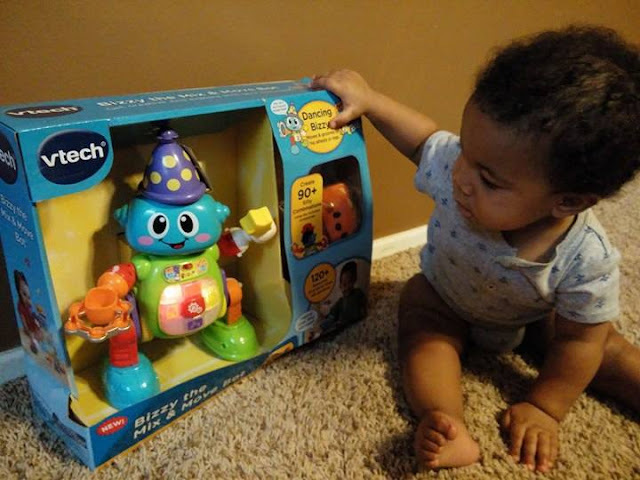 Bizzy the Mix and Move Bot was a big hit with all 3 kids ages 8 months, 4 yrs and 7 yrs. There is a lot you can do with this delightful little robot, with all its interchangeable parts and combinations, the kids have not stopped playing with it since we got it. 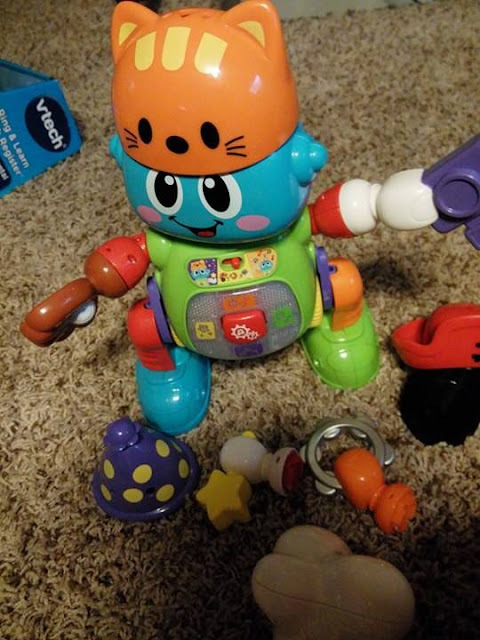 I like that there is something for all of them in the Bizzy Bot and the best part is that there is a volume button on all 4 toys so they can be played for hours on end and it does not get annoying. 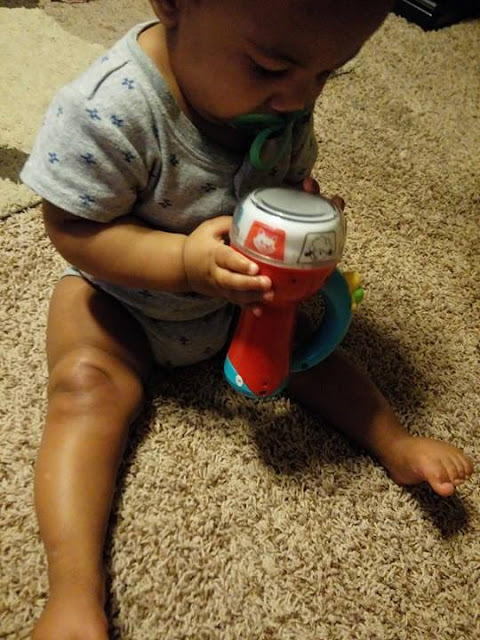 This Bizzy the Mix & Move Bot is our 3 little ones favorite new toy! 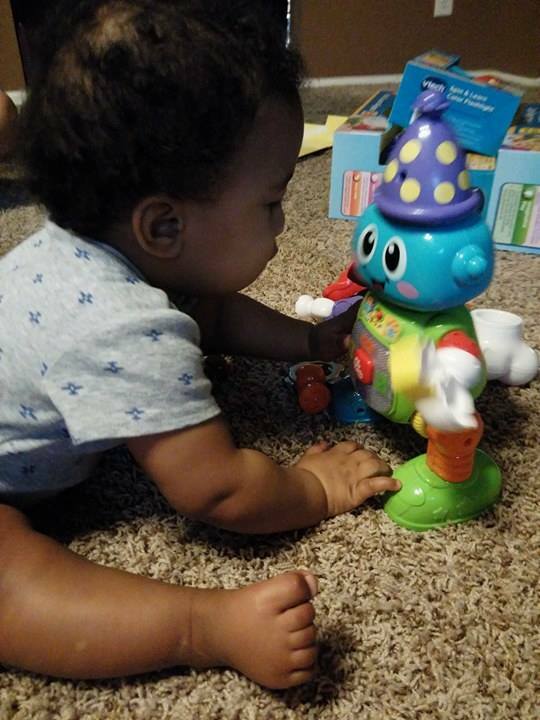 They love everything this little bot does, from the interchangeable arms, hats and removable legs so it can roll on hard surfaces and do a robot dance, to the interaction with each press of a button and the silly responses. They love to make this Bot dance and move around the kitchen with sound effects and so much more. 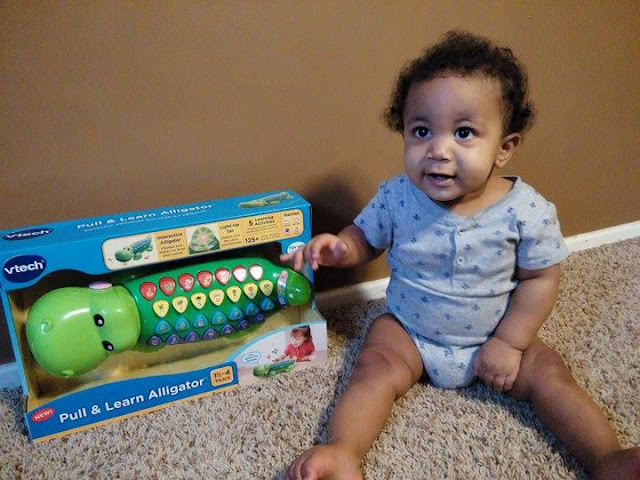 The Pull and Learn Alligator is the 4 yr olds favorite, she just started Pre K and really enjoys how much fun she has learning and playing with this funny alligator. I like that there are many different activities to do with this alligator, including a quiz, which Kylie really likes and says her new teacher is an alligator! She has not stopped playing with it since we opened the box. She loves the 5 play modes and the silly sentences. I like that she is learning while having fun and the quiz feature lets me know she is understanding and learning her alphabet, phonics and sentences. A great feature is the volume control and the tail lights up and can be pushed or pulled while the head moves. Our 8 month old loves this Spin & Learn Color Flashlight. 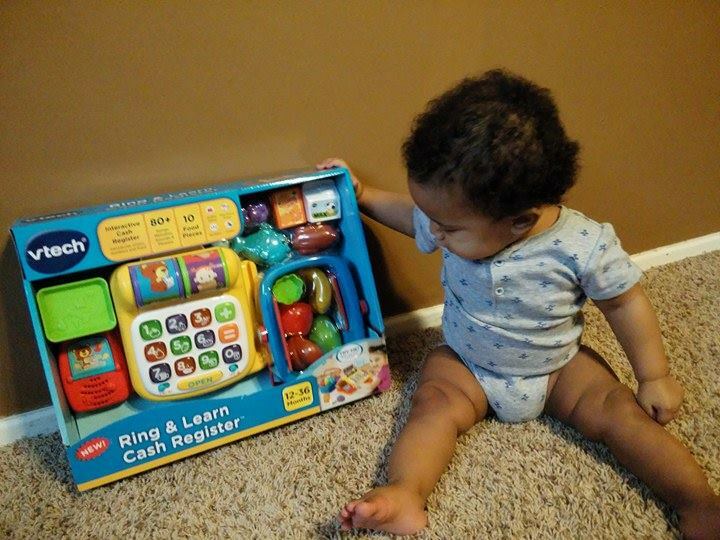 He likes to spin the top and see all the different colors. I like that he can manage this himself and the light is just right so he does not hurt his eyes as he looks into the top of the flashlight and has a nice protective covering. 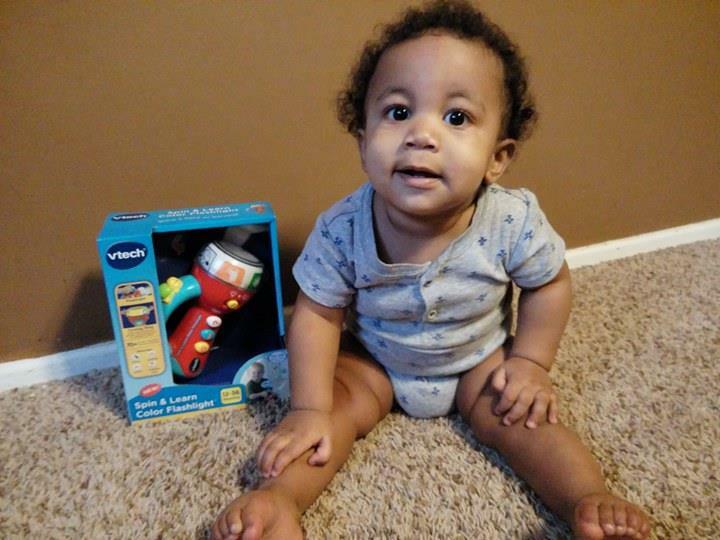 His sisters love to play red light, green light with this flashlight and they all have fun playing together. 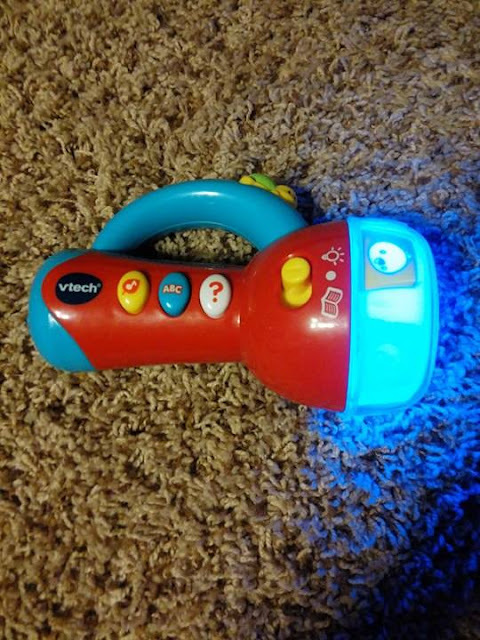 I like that this flashlight teaches colors, opposites, letters and has fun nature sounds. I like that it is great for on the go as well. All 3 kids enjoy the Ring and Play Cash Register, the baby really likes all the healthy play foods and the girls play nonstop weighing and purchasing food from each other as they take turns being the shop keeper. They really like running the credit card through the cc machine. I like that the cash register has a response for each action. 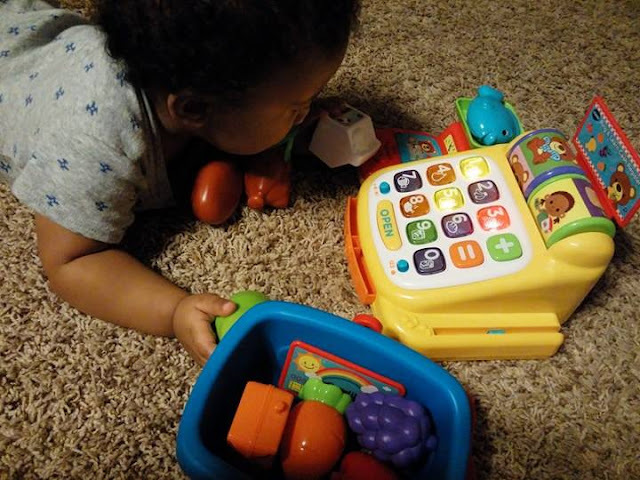 With so many different ways to play these are all fun, interactive learning toys for a nice age range. “The product has been provided by VTech so I could experience it with my family; however, the thoughts and opinions are all my own.”I received this product in exchange for a review. All my opinions are my own, based on my personal experience with the product. I am disclosing this in accordance with the Federal Trade Commission’s 16 CFR, Part 255: Guides Concerning the Use of Endorsements and Testimonials in Advertising.